Carelessly disposed of chewing gum can easily get trodden into pavements. This unsightly nuisance is unsanitary and deteriorates the surrounding area. 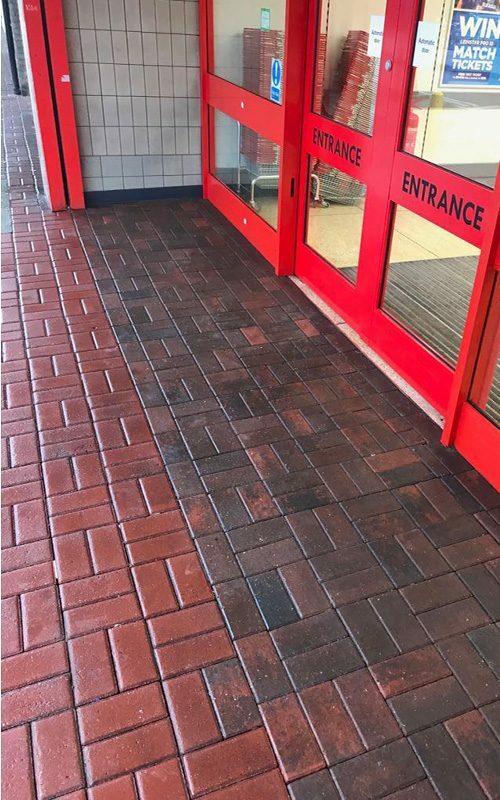 Dirty paving can seriously damage the appearance of any building and can have a negative effect on people’s perception of a business. Moreover, chewing gum is a hard problem to tackle. Chewing gum is a very difficult type of litter to remove. It is the world’s second most common form of litter after cigarette butts. Nationally speaking, chewing gum comprises 15% of all litter recorded in the litter quantification survey, according to litter.ie. 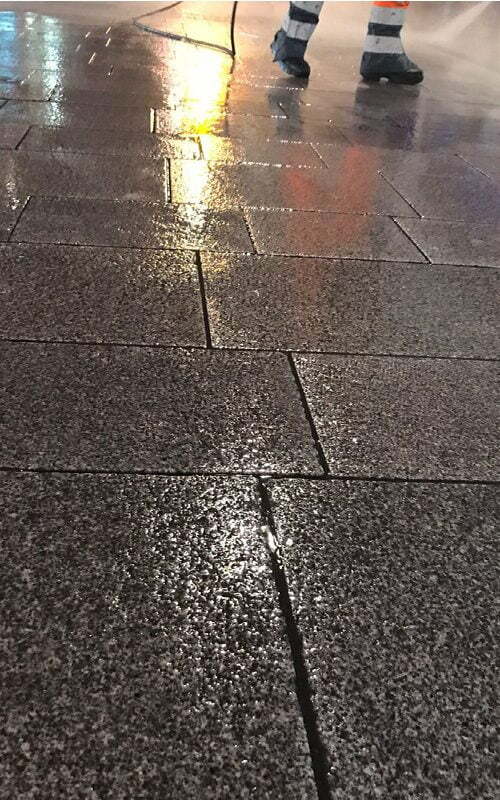 This sticky issue does not only cause problems to pavements and businesses, but to society as a whole. Conventional gum doesn’t biodegrade easily. It takes five years to biodegrade due to the polymer ingredients, which are synthetic plastics. 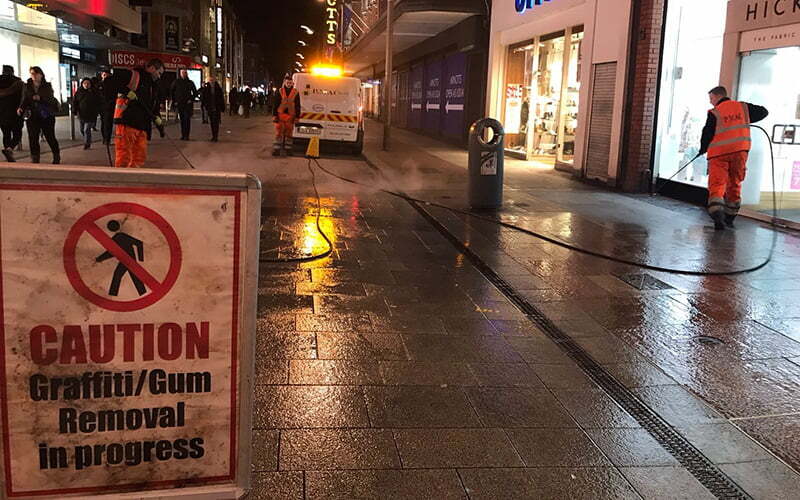 According to Gum Litter Taskforce (GLT), after the program started in 2007, 1 in 5 Irish people said that they used to drop/spit gum, but now they are more conscious of how they dispose of it. The action plan to tackle gum litter aims to achieve a long-term sustainable solution to the irresponsible disposal of chewing gum. 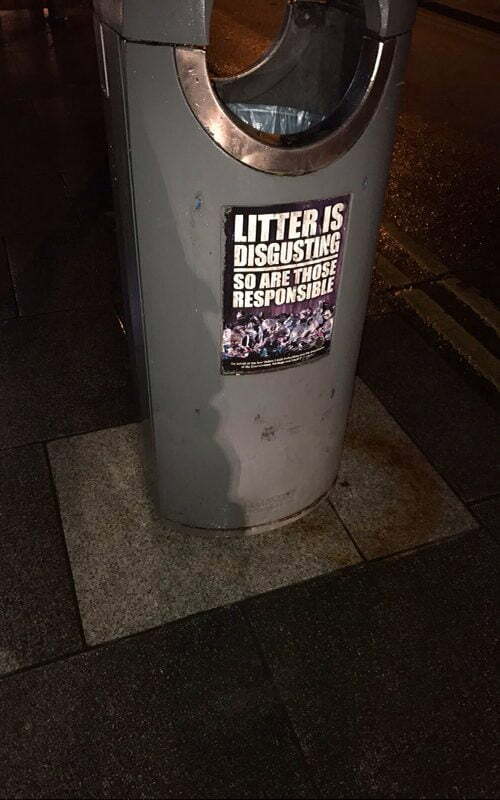 Furthermore, a fine of €150 not only discourages littering but it also reaffirms that incorrect disposal of chewing gum is, in fact, littering! The GLT campaign consolidates a set of integrated initiatives including education and awareness-raising measures to ensure the greater visibility of the fine. The ‘Bin your gum when you’re done’ campaign includes mass media advertising, school education campaigns and local authority involvement. It has continuously made very real and significant improvements in relation to gum litter awareness and disposal behaviour over the past number of years. 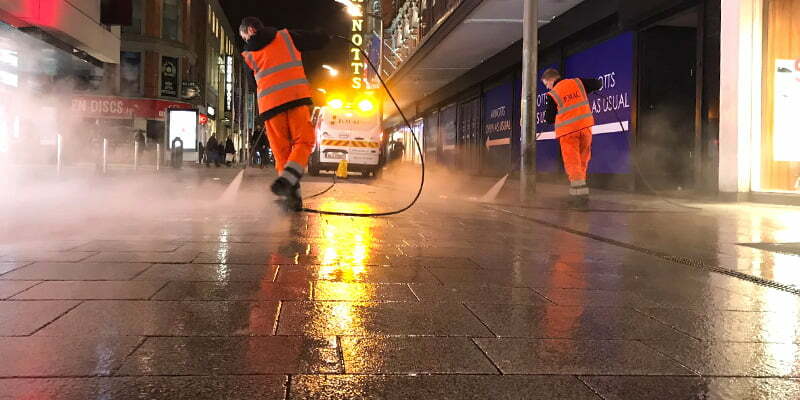 Our dedicated gum removal team transforms pavements that have been littered with chewing gum and can completely remove all traces of this sticky substance. 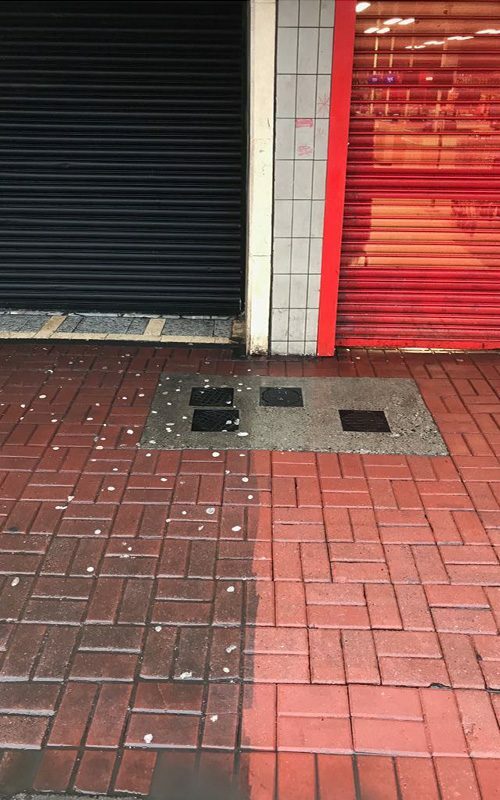 The quick removal of chewing gum helps to ensure the area remains clean and tidy, giving the city a better appearance. 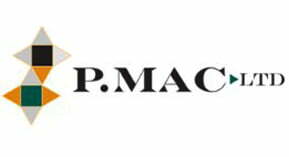 P Mac is all around Dublin removing gum from different areas. 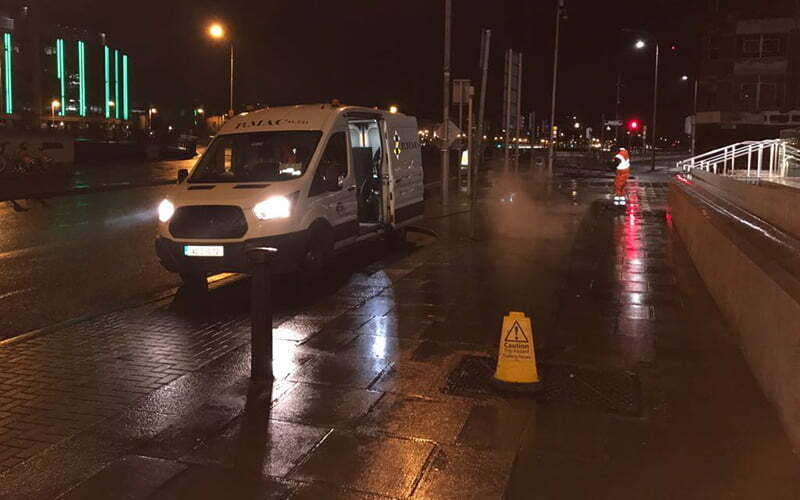 Our gum removal team’s day starts at 7 pm, when streets are quieter and enables us to carry out the job without disrupting business. The team works through the night, generally finishing up at 4 am. What is the gum removal process? We use two different machines. Both use high temperature at low-pressure steam so to melt the gum away without causing any surface damage. Gum can only be removed using extreme temperatures. It can either be frozen or melted. 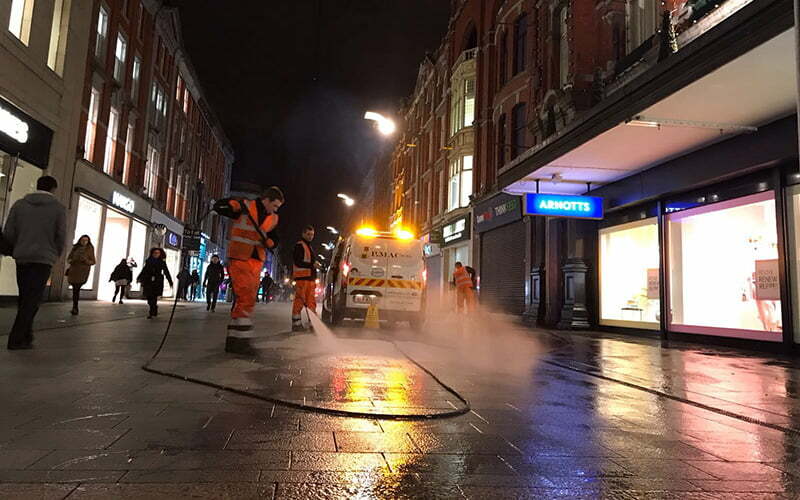 We can attach one or two hoses to our custom-made machines in our vans enabling us to clean larger streets quicker. 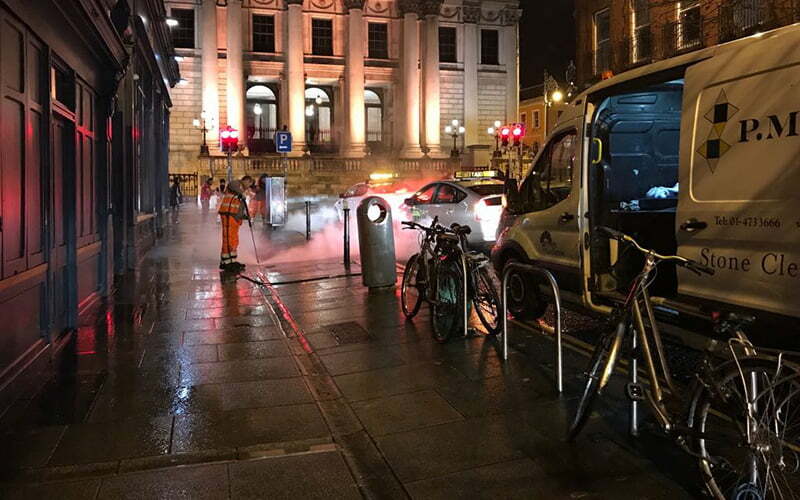 We receive a list from Dublin City Council of the busiest streets in Dublin on a monthly, bi-monthly and quarterly basis. 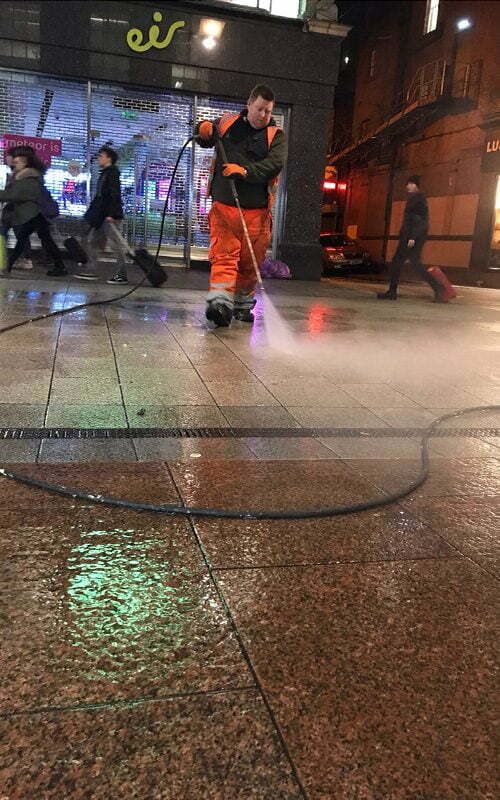 When people see us cleaning the footpaths in the public realm, they realise it is for their benefit and appreciate our efforts. What’s a day in the life of the gum removal team? Our Gum Removal Teams work in groups of three. One team member stays in the van while the other two work with the hoses. They change around positions during the night, so everyone gets a little time out in the van minding our equipment. 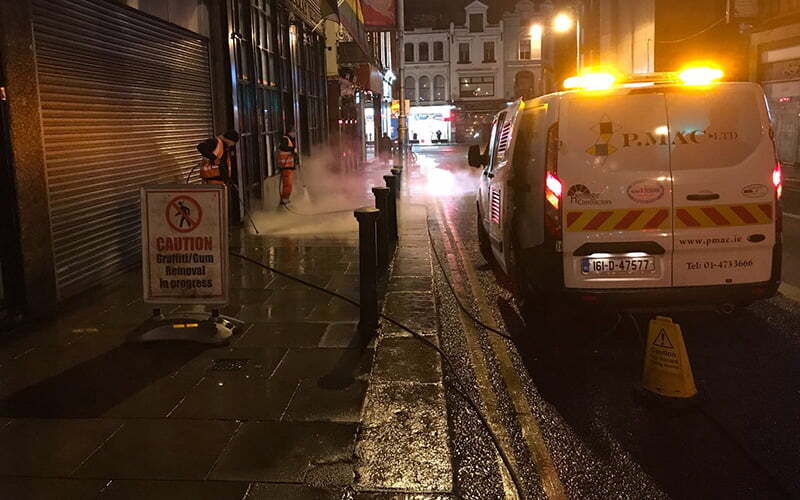 Our gum removal team works from Monday to Thursday night as the streets of Dublin are too crowded with pedestrians over the weekend to work safely. We have our weekly huddle on a Thursday night, when we all meet up in a certain fast food joint that is open all night. We all look forward to this break to have a good chat and a bit of banter. 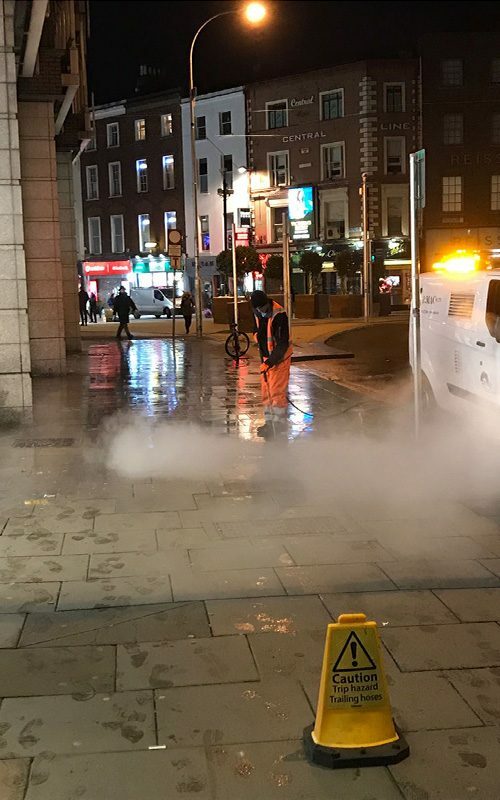 There is quite a bit of that working at night on the streets of Dublin, too. 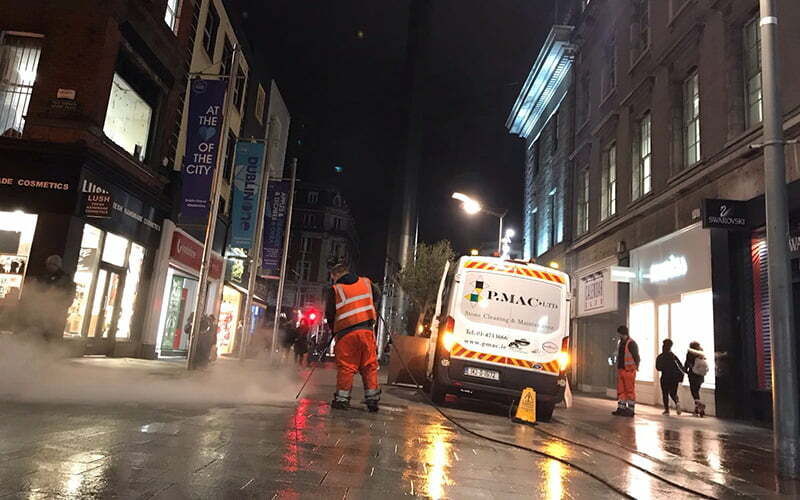 I’d say we must be the most photographed cleaning operatives in the city! 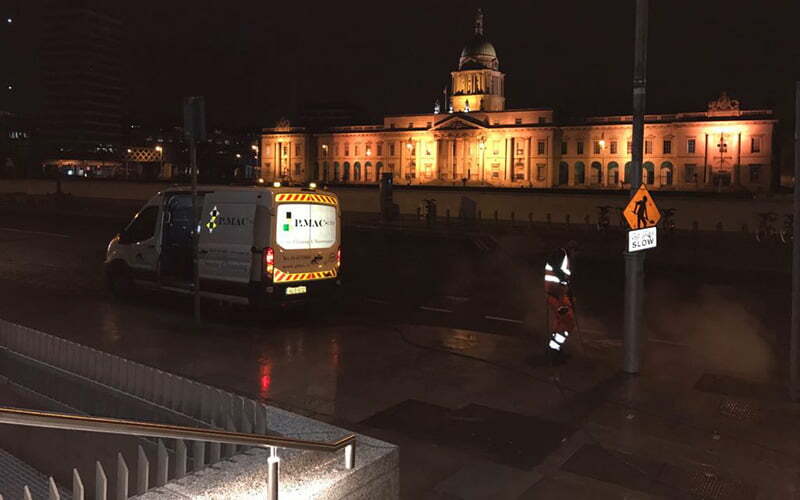 But that is good because we are delighted to assist with all improvements being made to help Dublin look even better. We’re very proud to help our city be a nice place to live. We work with various county councils, local authorities, and private properties. Our clients are always very proud of the jobs that we carry out, and many of them call us on a regular basis. 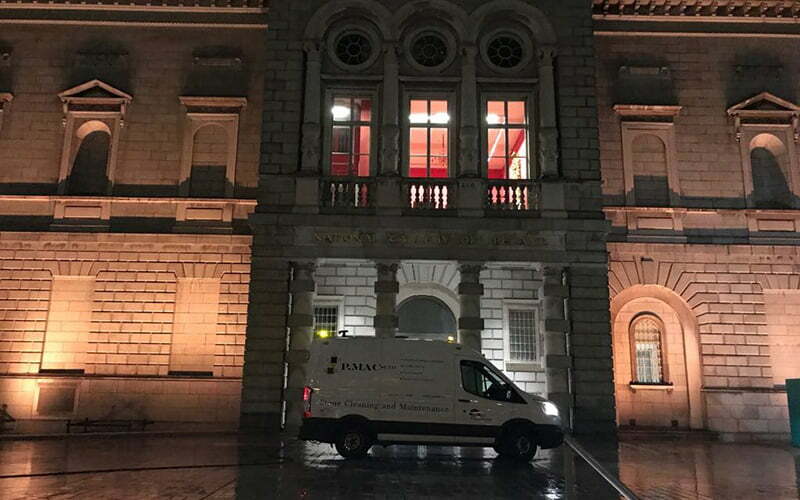 We price per meter squared, and we usually ask our clients to send us a photo so our team can analyse how long it will take to clean the area. We also check what time the service can be done at, so it won’t disturb the life of the street. 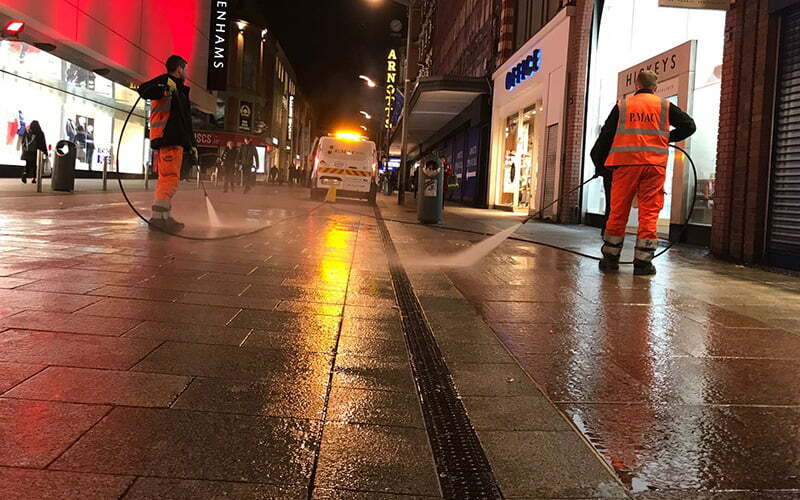 Our experience and efforts have resulted in an impressive transformation of the city and the country as we carry out many jobs around Ireland. 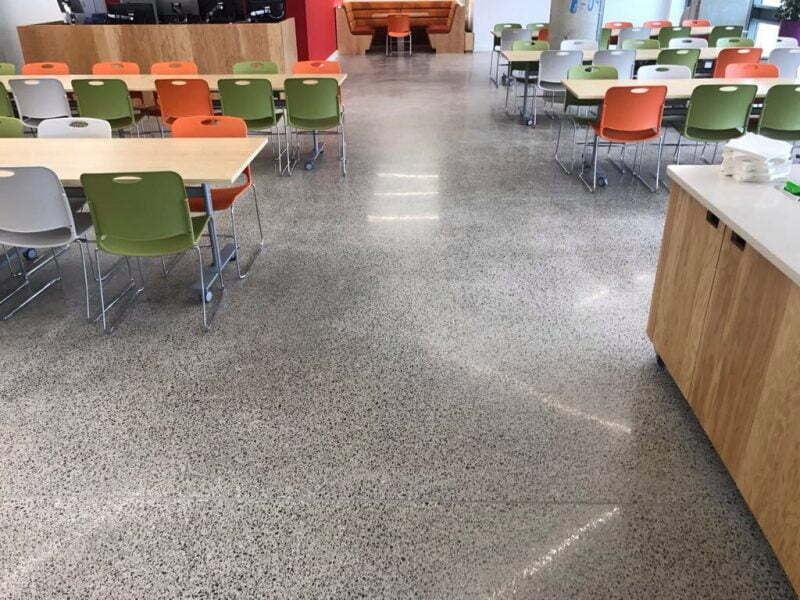 We provide the best, most innovative chewing gum removal equipment and procedures to provide a fast, efficient and, most importantly, environmentally-friendly way to remove unattractive chewing gum from different surfaces. Can chewing gum be recycled? There are no initiatives in Ireland to recycle gum, however once disposed of correctly, gum can have a better end. Sustainable chewing gum is being produced which is 100% biodegrade. This natural, biodegradable gum can melt in water, and, when tossed on the sidewalk, can be 30% easier to remove. 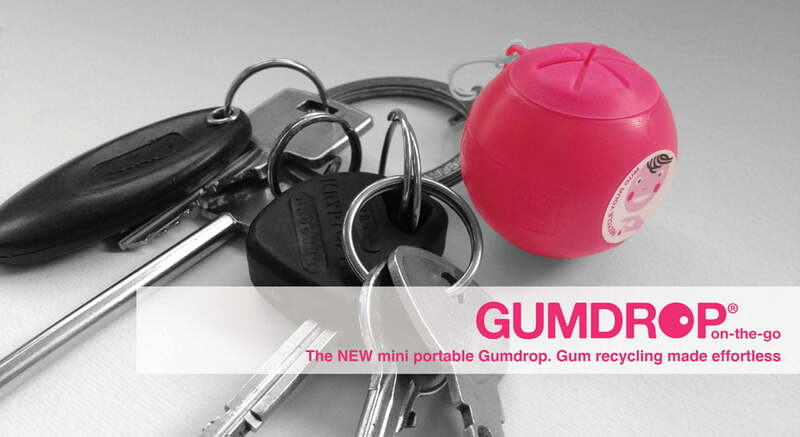 Gumdrop Ltd is the first company in the world to recycle chewing gum. They collaborate with manufacturers and companies globally to make products from recycled and processed chewing gum. When recycled, chewing gum can become a vast number of things – from boots to mobile phone covers to packaging. Their bright pink chewing gum receptacles can be seen in different capitals around the world. The truth of the matter is that chewing gum is not going anywhere. 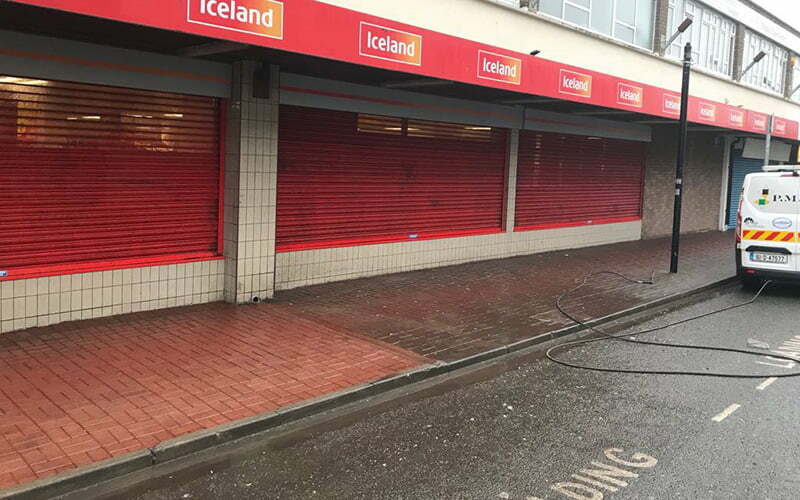 The demand is high, but we believe that when we act fast, we can help to minimise the issue and protect our environment. 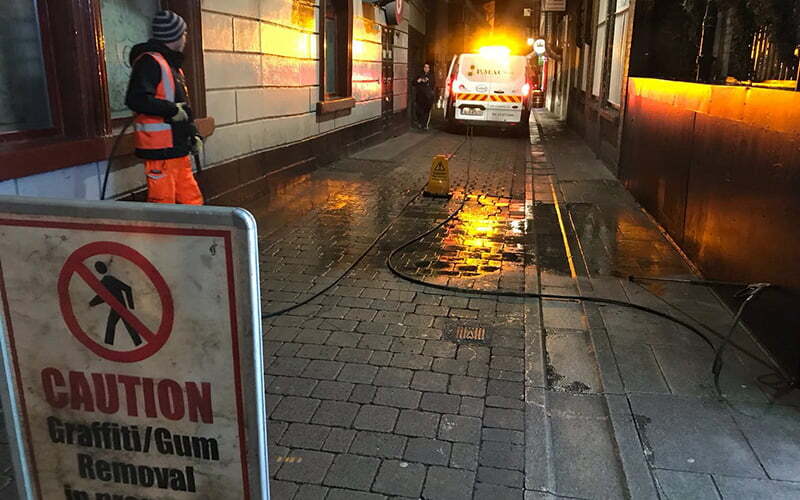 P Mac’s gum removal team is a common sight on the streets of Dublin today. 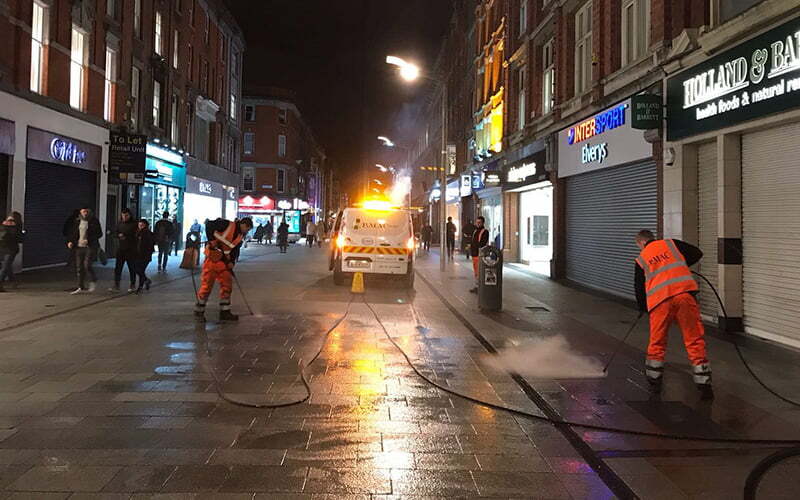 We have been instrumental in improving the cleanliness of Dublin’s streets for the last 15 years. 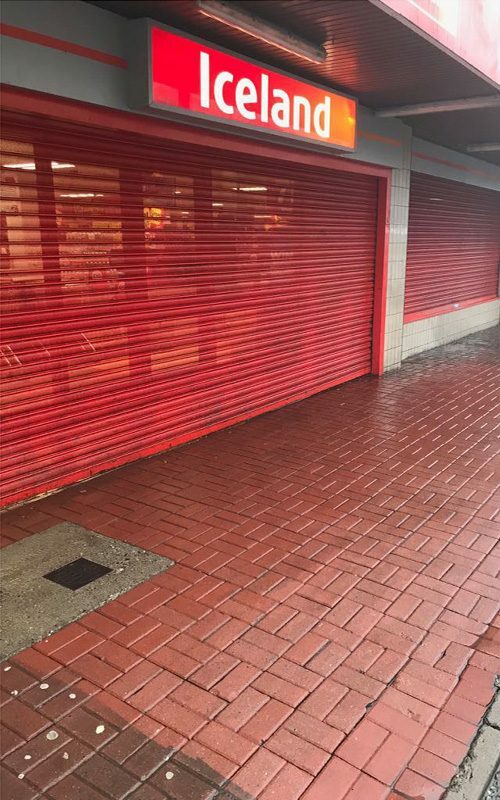 If you want further information, please contact us on 01 473 3666 or send us a message and we will get back to you with a quote.